NY Times, Jeff Gordinier reviews..."The Essence of Portugal in a crisped Sardine"
Seabra's Marisqueira is an outstanding Portuguese seafood restaurant with old world charm. The New York Times recently raved " The Essence of Portugal in a Crisped Sardine". 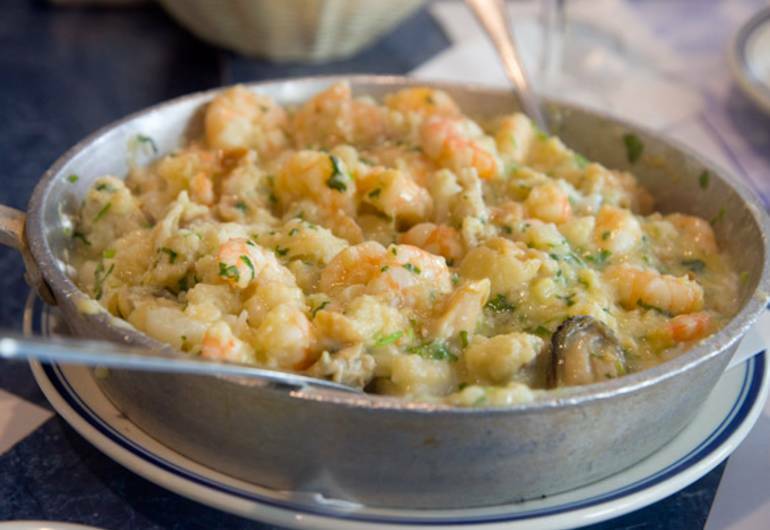 Try the Dungeness crabs on for size, they make a mean bacalhau, and a cilantro-flecked clams dish called Bulhão Pato, named after a Lisbon poet. There's a bar....and there's always a a soccer game on the screen.